Midway between last growing season and the upcoming one we have the unique opportunity of sitting down, breathing in, and taking stock. 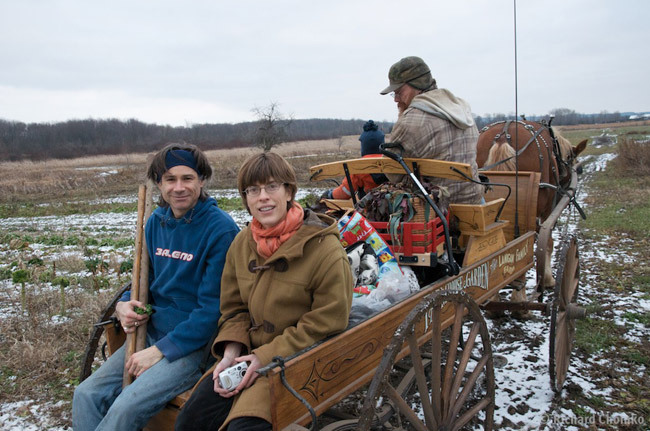 As biodynamic practitioners and co-creators of food for humanity, we know we differ from our colleagues and neighbours who still farm “conventionally.” Sure – we also have a lot of things in common: issues with weather, human resources, financial obligations, family goals and involvement, etc. There are, however, some fundamental differences in our approach to growing food. Bio-dynamically grown food is fundamentally different from “conventionally” raised produce. Eating the food we grow should be a mind-soul-body experience. I know – the poster-child for biodynamic farming is biodynamic wine production and it is well deserved. Is it not time that our bread, cheese and carrots achieve the same appreciation as biodynamically grown wine? Taste and quality perception should be the only advertising we need to promote the new way of farming that we envision for the future. A friend of mine once said, “Eating biodynamic food fresh from the garden takes all the glamour out of eating at the fanciest restaurant!” That just about sums it up. On the flipside of the coin, a very grim reality is confronting a large number of Ontario farmers. Conventional farmers got hit by the “perfect storm” of unfortunate circumstances, most of them inadvertently initiated by their own doing. The bad recipe came as a mix of growing corn varieties that were too long-season, excessive artificial nitrogen applications, and dousing the crop with too much glyphosate (Round-up herbicide). All these factors came from decisions to maximise yield and had the added effect of weakening plant health. To top it off, we experienced a warm, humid fall after a hot dry summer. The vomitoxin levels in corn are going through the roof – often multiple times over the upper acceptable threshold of 5 ppm. This corn is highly toxic to all livestock, especially pigs. Farmers have been seen chopping corn plants back into the field or ploughing them under. These toxic fungal spores are only broken down in a healthy microbial soil environment – good luck. Some farmers are already reported to have respiratory conditions from spore exposure. In my conversations with organic grain traders and farmers, none of them reported toxic levels in any of their organic corn samples. I wonder who will feed the world in years to come. It may just take a crisis like the 2018 corn harvest to open our eyes. One of our B-D farmer friends summed it up: “You are what you eat. If food is grown in a morally unacceptable manner, then the consuming population will have moral and social issues as well.” This is a totally different mind-soul-body experience than what we strive for. I hope to meet many of you at the upcoming Guelph Organic Conference and the Annual Meeting in Armow. On behalf of your Board Members I wish you a successful 2019 growing season.